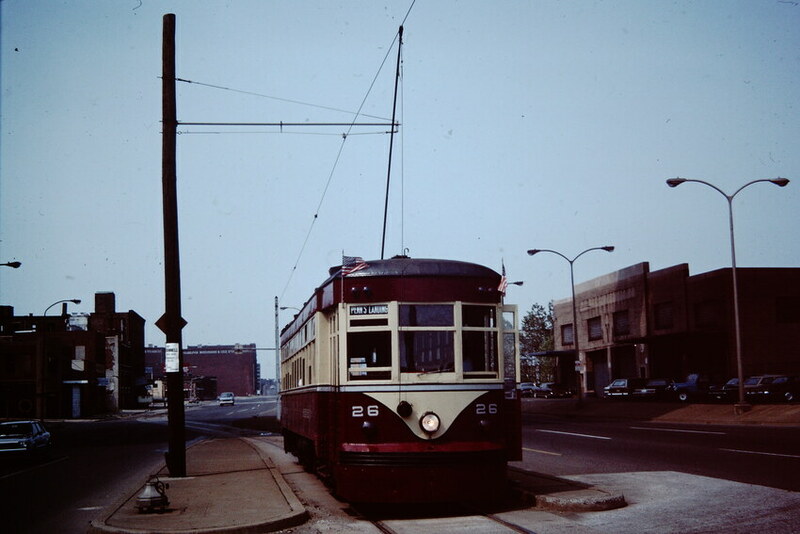 This "Hog Island" car built by J.G.Brill originally owned by PRT and then sold to Red Arrow is seen on Delaware Ave. This line was operated by railfans belonging to the Buckingham Valley Trolley Association. Photographed by Mitchell Libby, April 16, 1983.